Houses & Homes VA: Do You Know Why Your Grass is Like a Bear? 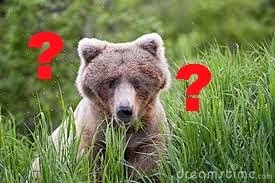 Do You Know Why Your Grass is Like a Bear? Many people think that they don’t need to worry about their grass in the winter time because it dies when the cold weather arrives. The truth is that grass basically “goes to sleep” much like a hibernating bear! And just like a bear your lawn needs to “eat” enough “food” in order to survive the long winter ahead. The better you prepare your lawn for winter the more healthy and beautiful it will be when it “wakes up” next spring. This is the time of year to begin preparing your lawn for the cold season because it needs enough time to build up stronger roots and store enough additional nutrients. Now is also the time that grass will recover from heat damage, heavy traffic from children and pets and damage caused by a variety of insects. Using the proper fertilizer is the secret to your success. You will want a fertilizer that is high in nitrogen content because that is what will strengthen the roots for the winter hibernation. Potassium is equally important for strong roots but will also help your lawn to recover from insect damage, weeds and drought. Your best bet is to choose a fertilizer with a 1-0-1 or 2-0-1 ratio of nutrients. This would be 1 or 2 parts nitrogen, 0 parts phosphorous and 1 part potassium. You can find these numbers prominently displayed on the outside of fertilizer bags. You won’t need fertilizer containing phosphorous unless you have actually performed a soil test that indicates your soil is lacking this ingredient. Be warned, too much nitrogen will make your grass grow at an increased rate and you will spend a lot of time mowing next spring! Basically, 1 or 2 pounds of nitrogen is sufficient for a 1,000 square foot lawn so the amount of nitrogen that your lawn requires will determine how much fertilizer you need to use. There is actually a formula that you can use to figure out exactly how much fertilizer to apply but it can be a bit confusing for some people. I suggest that you simply ask your local supplier how much fertilizer they suggest for your particular size lawn if you aren’t sure. They are experts and should be able to help you with this. When applying the fertilizer you can apply it by hand if you prefer or with a spreader (this is much easier and saves time). Either way you will need to repeat the process one more time in October or November before freezing temperatures arrive. When spring finally arrives you will have the most lush and green lawn in the neighborhood!